The circus is in town, 19 August 2006 Author: dbdumonteil At the time,Feyder',s former pupil ,Marcel Carn�, was beginning to outstrip his master. 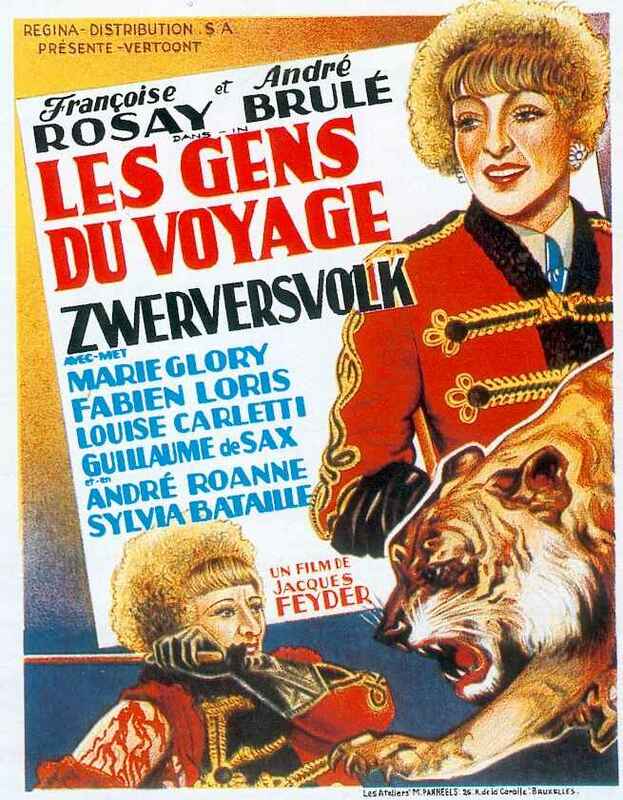 "Les gens du voyage" is a movie which is worth seeking out because it',s the only one ,to my knowledge,which takes place in a circus in the thirties in France.And Feyder perfectly depicts its atmosphere:the long line of trailers when the film begins,the men driving the stakes in the ground (a picture which comes back again and again),Franç,oise Rosay as a lion tamer worrying about one of her animals ',health...It',s the French granddaddy of De Mille',s "greatest show on earth".What about the screenplay? It',s flawed and melodramatic.A great director such Feyder will always land on his feet but twenty minutes before the end,I was wondering how he would get out of a messy plot.Rosay',s husband has escaped from penal colony and takes refuge in the circus where she and her son Marcel work .She does not want that the boy,now 20,learns the truth about his father and even that the newcomer is his father.Marcel is in love with the circus manager',s daughter .But father has bigger ambitions for his girl.Besides,she has a wicked younger sister who is jealous of her cause she secretly loves the boy too.Great scenes: Rosay alone with the lions in the cage as the lights go out,the little sister,tearing her clothes in a fit of pique to attract her sister',s lover',s attention,the final in a big Paris circus and the chase on the roof .Franç,oise Rosay is the stand-out , the soul of her husband',s movie.She is not here an over possessive mother as she was in Feyder',s "Pension mimosas" but a woman who got a raw deal and who learned not to trust men anymore. Fabien Loris is cast as his son,it',s an actor who generally plays small supporting parts ("Children of the paradise":role of Avril) The hotel where Pepita stays is called "Hotel du Nord" : a nod to Carn� whose eponymous movie was released the same year?